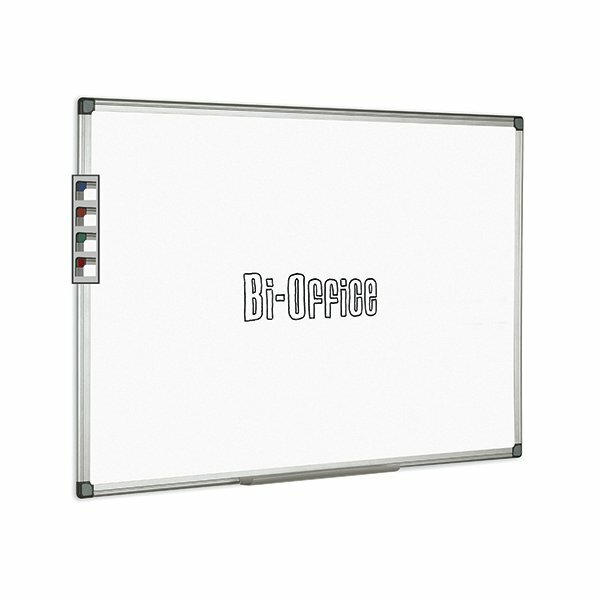 This Bi-Office Drywipe Board featues a smooth writing surface that provides enhanced visibility for dry wipe markers. 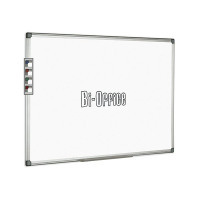 The board is double-sided, so you will not have to erase your notes to continue using the board. The stylish aluminium frame features a choice of plastic corner caps in various colours to match any decor. This whiteboard measures 900mx600m.